On a Tuesday night in mid-December, @internetsyd took to Twitter with three simple words— “Solo album done.” Since her departure from Odd Future to cocreate The Internet in 2011, Sydney Bennett has increasingly gained notice. 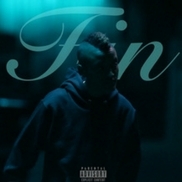 Just months after The Internet’s October announcement that each member would release a solo project within the year, she released Fin, a 12-track solo debut that declares, at least for now, that it’s all about her. 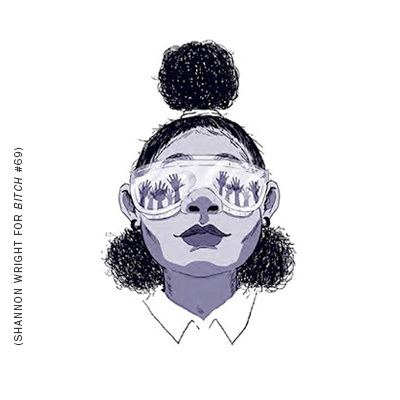 Now 24, Syd (formerly Syd Tha Kyd) steps from behind the tech table for her first project in which she is front and center. A self-taught engineering nerd and bedroom beatmaker with a Myspace origin story, Syd grew up on various genres of music and draws inspiration from many of them. Opening track “Shake ’Em Off,” for example, uses the classic spotty phone-call audio that marks an R&B intro. Citing inspiration ranging from Brandy to Justin Bieber’s Journals, Syd imbues Fin with the emotional vulnerability of a confessional Usher ballad on top of boppy hooks reminiscent of SWV. “Over” is kin to TLC’s “Creep,” and Aaliyah’s influence is noticable in “Know,” a song about the secrecy of infidelity that showcases the upper reaches of Syd’s vocal range. But Syd has never considered herself a real singer. Her laid-back, voice-lesson-dropout demeanor could appear as lack of commitment to her craft, but her life suggests the opposite: At 16, she was grinding on GarageBand, LimeWire, and Craigslist in a studio in her parents’ backyard between trips to In-N-Out Burger and American Idol episodes. In interviews, Syd underestimates the importance of this album, calling it “not that deep.” But this record resonates, like sound waves into an expansive space. Without reinventing genres, Syd pushes a rereading of soul, R&B, and hip hop in our contemporary moment. And with lyrics reflective of her sensitive solitude, commitment to her crew, and simultaneously palpable sense of isolation, Syd’s smooth loner status makes her an introvert icon. If Odd Future sells shock value, Syd is a champion of subtlety. At times, her nonchalant candor reaches a melancholic ambivalence that megastars such as Drake can only begin to pretend to embody. Her silky vocal delivery has the effect of reassuring those of us caught up in our feels. Even brag tracks such as “No Complaints” or “Nothin to Somethin” ultimately come off as modest, once she flips them into odes to self-care: “I’m just overzealous they think I’m selfish/ But I’m working on my wellness, hustle for my health.” To be clear, Syd doesn’t have to be humble. She is the only female member of Odd Future, draws high-profile collaborations, and was Grammy-nominated for Best Urban Contemporary Album; Syd has a lot to brag about. She’s also not your average #WCW, with her slouched shoulders, Vans, and mohawk. Her artistic aesthetic rejects any narrow mold of femininity. At times vulnerable and other times tough as hell, the lyrics on Fin all center around women, whether referring to Syd, her exes, her fans, or others. “Got Her Own” stands out as an anthem of praise to independent women: “Heard she drive a Beemer and she got it on her own/ Heard she was a dreamer but she sleeping all alone.” This exaltation complements the more dreamlike underwater sound on the brief, breathy “Drown In It.” “Over” opens up about ending a monogamous relationship due to distance and lost interest, wondering, “Is it safe to say it’s over?” The album ends on a more experimental note. “Insecurities” is stripped down, with simple instrumentals and fewer beats, until the bridge, when it verges on darkness before reeling it back. The effect closes a cohesive album with a taste of what we might expect next. If I didn’t know any better, I might try to categorize Syd’s sound as queer neo-soul or gay hip hop. But Syd is not interested in being an LGBTQ hero, or a feminist icon, either. Her earnest self-exploration affords her the space to resist categorization or genre groupthink. And while she doesn’t reject identities altogether, Syd leaves it up to listeners to decide what they think for themselves. At times self-assured, at others doubtful, but always with a sly smile and relative detachment, Syd does it her way. And keeps us hanging on each mellifluous word. Chanelle writes about music, healing, botany, and colonialism. You can read more of her work on NPR, The Funambulist, The Media, Feministing, Bluestockings Magazine, and Black Girl Dangerous when she was Managing Editor. Follow Chanelle on Twitter @nellienooks.